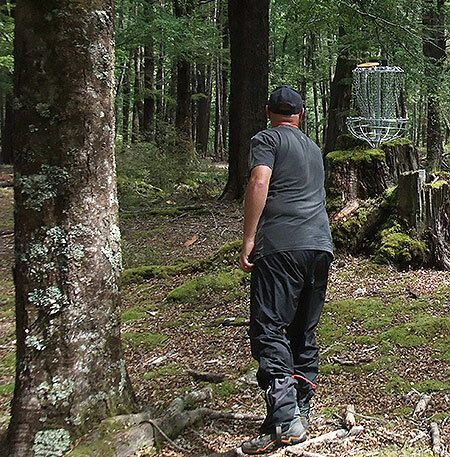 What a weekend of disc golf. 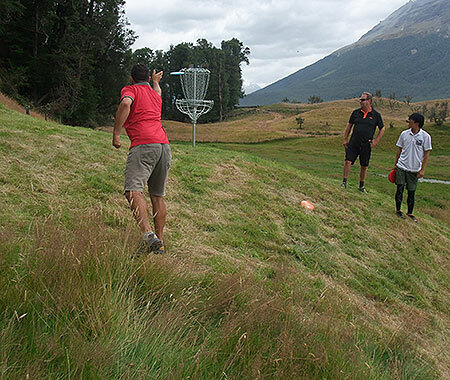 Paradise provided an amazing back drop, the combined efforts of the Queenstown and Wanaka Disc Golf Clubs installed an amazing 27 baskets that tested the world’s best ... and I mean the world’s best: Avery Jenkins, Jeremy Koling along with Des and Jay Reading came down from the States, Moe Doerken came back from Germany to defend his title, Manabu Kajiyama brought a crew down from Japan and a bunch of Aussies came across the ditch to take on the locals. The course was a good mix of tight wooded holes and wide open full power holes with plenty of elevation. The Paradise wind that comes through the glacial valley would also throw a spanner into the mix. 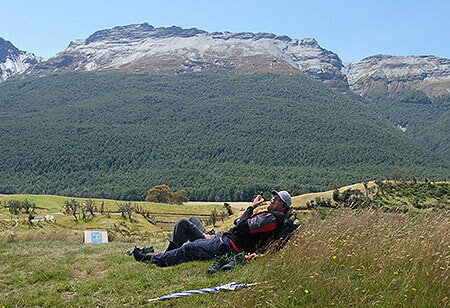 The NZDG Doubles Championships on the Friday gave everybody a good look at the course with the NZ pairing of Simon Feasey & Mario Cerniar taking out the title. Could this be an indication of what would come over the weekend? Saturday was overcast with gusty winds effecting the open part of the course and as the cards came in after the 27 holes Avery Jenkins and Jeremy Koling shared the lead with rounds of 69. The best of the Kiwi’s was Jackson Sullivan on a 74 and Simon Feasey on a 75. Sunday and the sun was out for the final 27 ahead of the 'Super 6' but once again the wind effected the open holes. This time Jacko threw the hot round equalling the 69 shot by Avery and Jeremy the previous day. 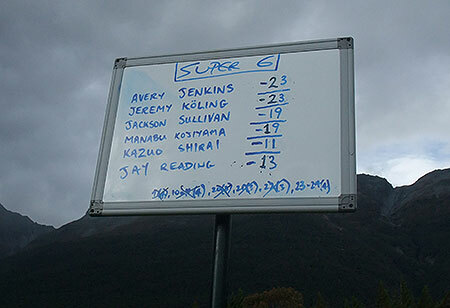 Going into the afternoons 'Super 6' Avery Jenkins held a two shot lead over Jeremy Koling with Jackson just a shot back. Manabu Kajiyama was a further 3 shots back with the 68 year old (yes, 68!) Kazuo Shirai and Jay Reading making up the 6. 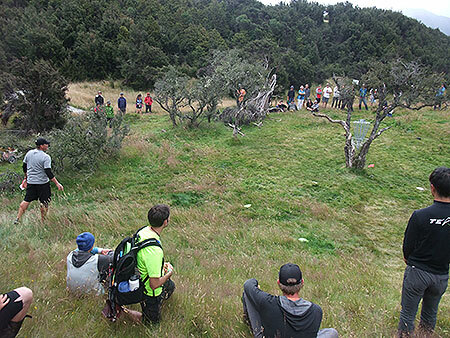 These guys put on an amazing display of Disc Golf skills with Manabu's 180+ metre drive on the final hole blowing the crowd away. When the holes were done Jeremy had closed the gap on Avery and it would take 3 extra play off holes to find a champion. 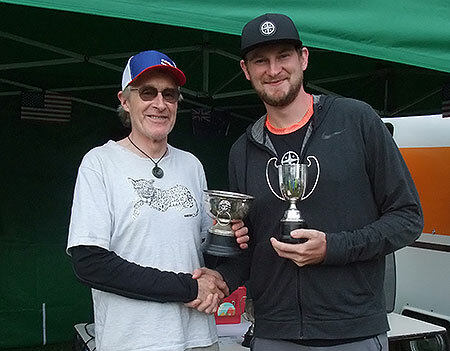 Congratulations to Innova sponsored Jeremy Koling our 2017 NZDG Open Champion. 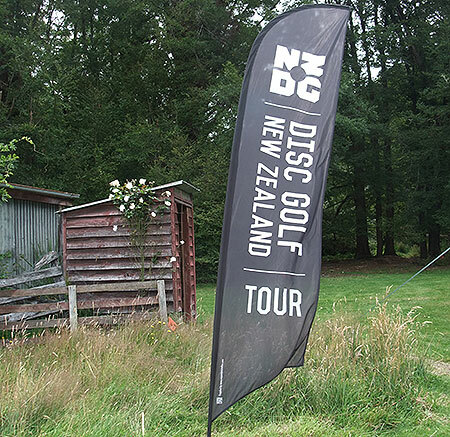 Congratulations also to everybody involved in the 2017 NZDG Championships, from the organisers and the sponsors to everyone who came and threw their plastic. 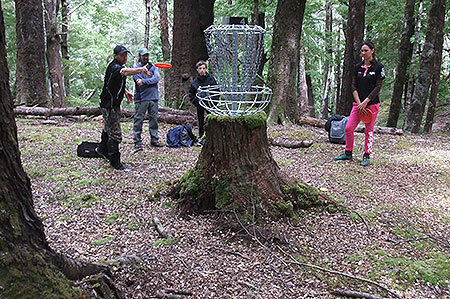 This reporter couldn’t think of a better way to spend the weekend, topped off by joining Avery Jenkins and a crew of 10 as he played his 900th course in the Queenstown Gardens on the Monday afternoon after watching the Super Bowl final at a pub in town. 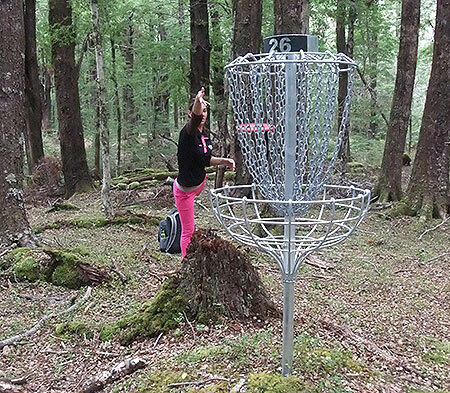 This is - Disc Golf in Paradise. The Pulver-isers - Scott Pulver and son Sam who carried out great spotting duties over the weekend as well as giving his Dad advise. Attention or Detention - Appropriately in front of the old school house, Jay 'Yeti' Reading takes a putting class. 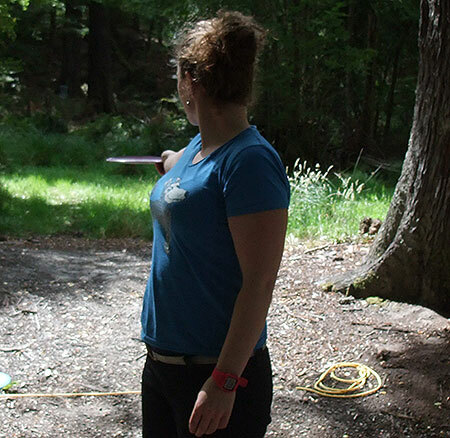 Yet he returns - ​They said if we could get a picture of a 'Yeti' in the wild they’d believe us. J & Des (obscured by the Yeti) soaking up the surroundings. Level Headed - ​Dunedin’s Hannah Joynt lines up her shot on #1. Stumping Up - ​Right at home in the trees. 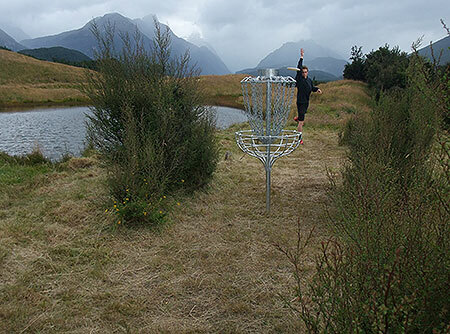 Taumarunui Disc Golfer Blair Joines sends his putt at the chains. Pretty in Pink - Ever improving Lost Tribes Paula Wilson played some great golf over the weekend. 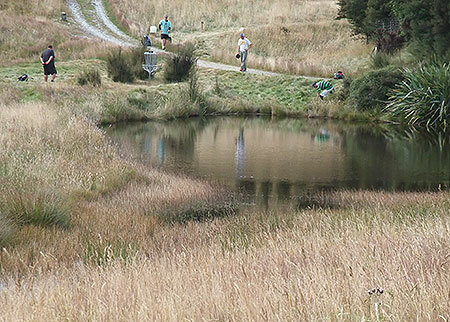 Time for Reflection - Wellington's Te Ngaru Grant got 25 discs out of this pond on the Saturday evening. Legend!. 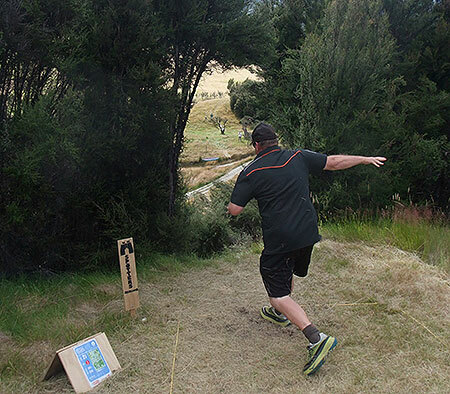 Mind the Gap - Christchurch Disc Golfer Chris Davies slots #21. Aaei! 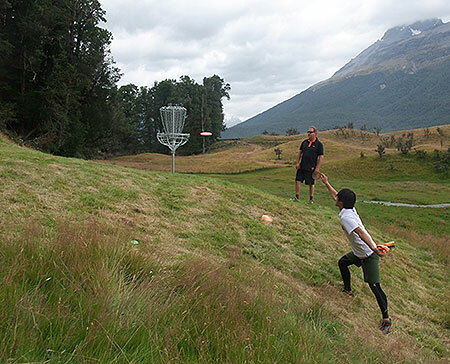 - Masaki Aoki comes up millimetres short on his last hole..
Young Veteran - Auckland Disc Golfer Toby Gentil playing his 14th NZDG Champs at the age of 19. Like a Pro - The big gallery watch US Pro Avery Jenkins line up his putt during the 'Super 6'. Follow the Leaders - The big finals gallery glued to every shot of the 'Super 6'. Top Knotch - And to the winner goes the spoils. Co-TD James Smithells presents Jeremy Koling with the silverware. Would he? 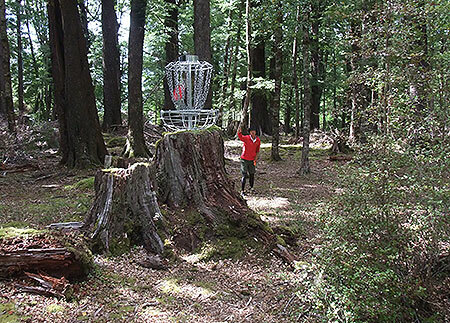 - ​Auckland golfer and RPM director Keith 'Woody' Inwood putts in the silence of the wooded holes. 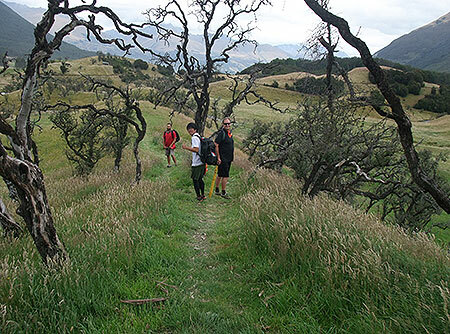 Lycra Layup - ​Kyle Martin of Wanaka shows his style. Flagging It - NZDG is in the house. 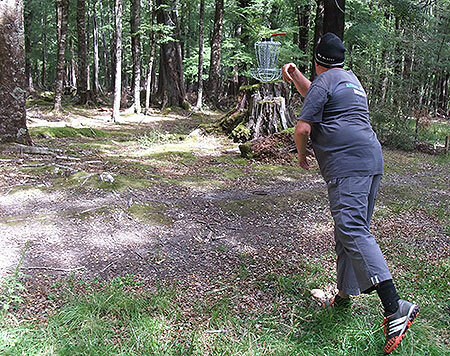 Tasman Tony - Not quite Isel Park but Nelson Disc Golfer Tony Andrews was making the most of his first NZ Champs. Like Looking in a Mirror - Te Ngaru Grant putts at the smiley face hole. Sensei of Plastic - One of three top Japanese players competing over the weekend Masaki Aoki finds chains on #3. 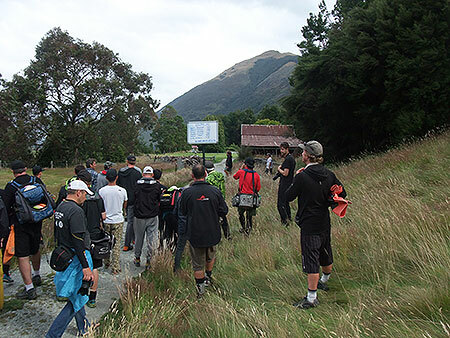 Knarly - Te Ngaru Grant, Masaki Aoki and Chris Davies head for the 15th Tee. Final Fling - Playing partners Chris Davies and Masaki Aoki watch Te Ngaru Grant make his final putt for the weekend. 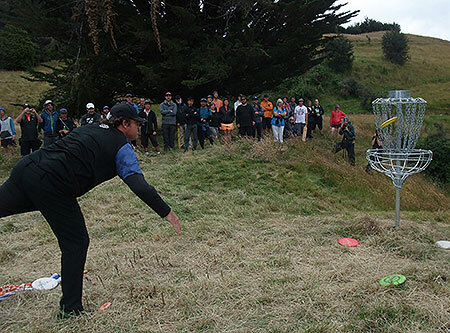 Regular Reading - The evergreen Jay Reading slams his putt into the chains during the 'Super 6'. And Suddenly - The leader board tells the story. Jeremy Koling nabs Avery Jenkins on the last hole of the 'Super 6' to force a sudden death playoff that lasted three holes. When Rustic Meets Plastic - US Pro Avery Jenkins plays his second shot on the second of three playoff holes for the championship. 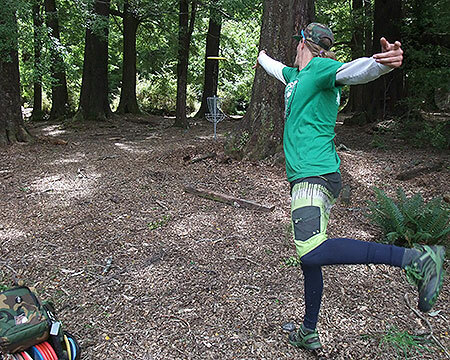 Winning Style - Jeremy Koling's putt flies like an arrow. 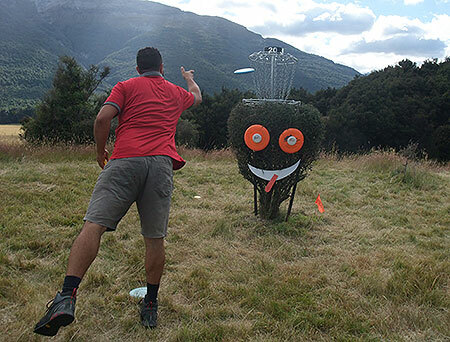 No Drama Kajiyama - Japanese Disc Golf Pro Manabu Kajiyama sends his drive on the final hole of the 'uper 6' final over 180 metres - the crowd stood in awe.